Plus Garmin's new fitness tracker, a "virtual nurse" SDK, and $1.2 million for mental health app MyStrength. Garmin’s new gadget. 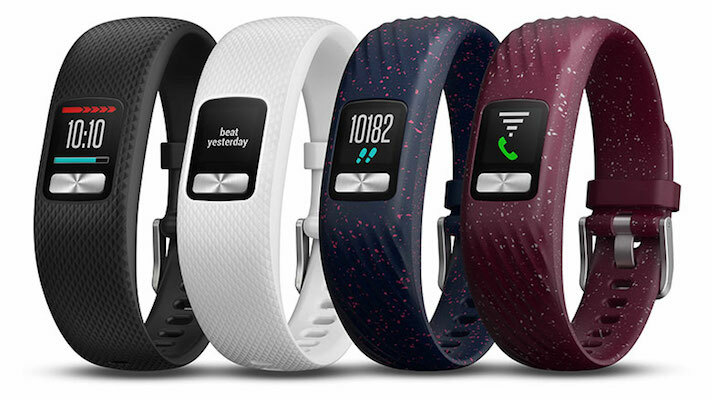 Garmin isn’t giving any ground to Fitbit with the announcement of its vívosmart 4 activity tracker, which will add pulse oximetry and new sleep analysis features, echoing its competitor’s Charge 3 announcement last week. But vívofit 4 will also include unique features like “Body Battery”, which “estimates the body’s energy reserves, letting users know the optimal time for activity and rest”. The device will be available for $129.99. Mental health app gets $1.2M philanthropic boost. Non-profit philanthropic organization the Zoma Foundation has made a $1.2 million investment in mental health app company myStrength. The investment will support the development of applications for identifying perinatal mental health risks educating families with young childern about depression, anxiety, relationships, infertility and miscarriage. “Supporting mothers during pregnancy and postpartum has long lasting societal impacts. We are excited for this partnership and are confident our investment in myStrength will help aid in the development and delivery of evidence-based maternal mental health services, which is critical for whole family health and well-being, and will set another example on how philanthropy can partner with other sectors to catalyze social change,” Luis Duarte, president of Zoma Foundation, said in a statement. Can you hear me now? Google has teamed up with Danish hearing aid maker GN Hearing to enable direct audio streaming from Android phones to two of GN’ hearing aids, ReSound LiNX Quattro and Beltone Amaze, with more to come. Though GN is the first, the architecture Google has built and published will allow other hearing aid manufacturers to integrate similarly. Drones bearing drugs. Merck, AT&T, Direct Relief, Softbox and Volans-i are working together on a pilot to deliver temperature-controlled medications to health centers in Puerto Rico that have been effected by Hurricane Maria. The partnership involves a different contribution from each participant, Direct Relief notes on a post on its website. Sensely launches SDK. Healthcare chatbot and avatar company Sensely has released its mobile software development kit, allowing enterprise partners to integrate its “virtual nurse”, including Mayo Clinic's symptom self-assessment triage protocols, into their existing apps. Chinese insuretech company The CareVoice, United Arab Emirates health insurance administrator NAS, and an unnamed Japanese multinational insurance company are some of the first customers. "Our customers have been asking for a more streamlined way of bringing virtual assistant technology, under their own brands, using their own content, to their member populations," Adam Odessky, CEO and cofounder of Sensely, said in a statement. "With the launch of the mobile SDK, the potential for best of breed insurers and healthcare organizations to deploy new use cases to their customer and prospect bases is unlimited, and we are excited to see the benefits of this technology help consumers much more broadly."